Mumbai: For India equity bulls, a good year for the nation’s stocks has quickly soured. Blame it on the concerns about a troubled lender that led to a sudden cratering in non-banking finance companies—a favourite among money managers until recently—and stripped the nation of its tag as Asia’s best stock market this year. The swift reversal introduces a sobering note in the $2.1 trillion market that climbed to multiple records in August despite rising oil prices and a tumbling rupee, thanks to the optimism about the world-beating economic growth and a robust recovery in earnings. The S&P BSE Sensex is now headed for its worst month in 2 1/2 years, and volatility is back to levels seen in February. 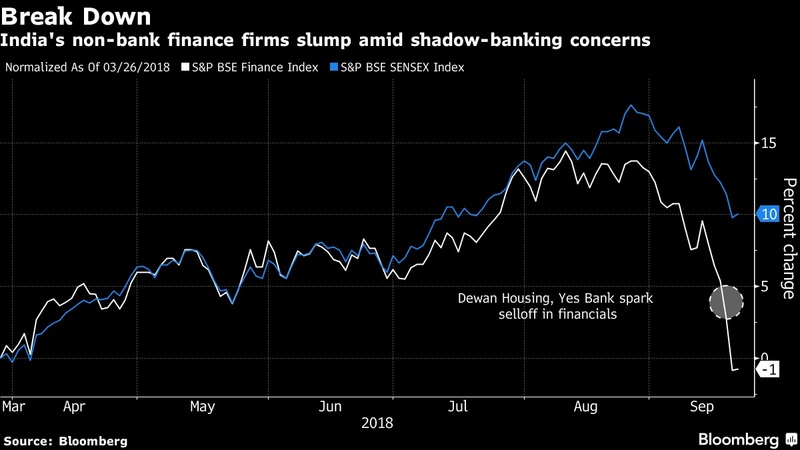 The selloff in non-banking finance lenders, fuelled by default at a lender to infrastructure firms, has led to the Sensex giving up almost half its year-to-date gains — and losing its top spot as Asia’s best-performing stock market this year to New Zealand. The Sensex is up 7.6 percent since Jan. 1, compared with the 11 percent gain in the New Zealand Exchange 50 Gross Index. Indian equities are also the region’s biggest decliners in September even as the nation’s authorities vowed to support financial markets. Financials, whose weighting in the Sensex has more than double to 40 percent since 2009, have been hurt by tight liquidity and the rating downgrades at Infrastructure Leasing & Financial Services Ltd. That double-whammy has led to savage cuts in stock prices of financials, erasing $20 billion from the value of the S&P BSE Finance Index in three days. 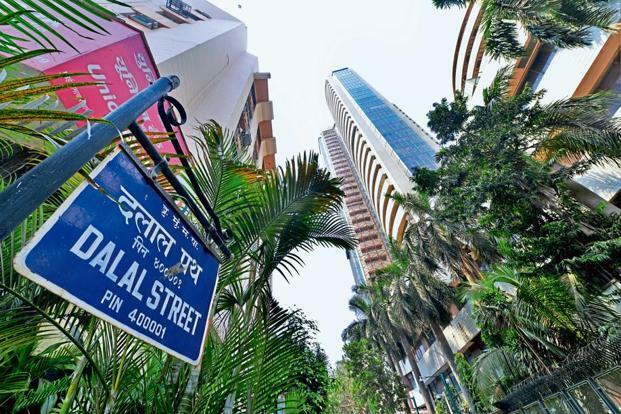 Mortgage lenders Dewan Housing Finance Corp. and Indiabulls Housing Finance Ltd. have nosedived 51 percent and 20 percent, respectively, in the period. Volatility has returned to Indian stocks, shattering the calm seen in recent months despite the global trade war tensions. The India NSE Volatility Index surged 12 percent on Monday, after climbing 11 percent Friday, to the highest in seven months. While authorities have said they will take all measures to ensure adequate liquidity is provided, the pledges are yet to steady nerves. 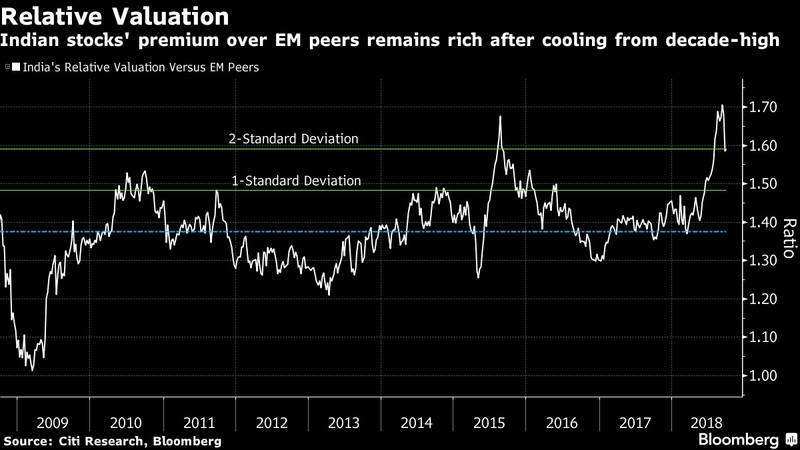 While Indian equities have traditionally traded at a premium to Asian peers because of the nation’s faster economic growth, the valuation gap between MSCI India Index and MSCI Emerging Markets Index is still two standard deviation above the 10-year mean. Elevated valuations and the upcoming elections prompted Goldman Sachs Group Inc. to call time on the nation’s shares earlier this month. “Indian equities have overshot and are trading at all-time highs compared with other emerging market economies,” Sanjay Mookim, an India equity strategist at Bank of America Merrill Lynch told BloombergQuint. The bank is cautious on equities due to domestic risks with the elections nearing, he said. The eruption in volatility has failed to dent on the positive earnings outlook for Asia’s third-largest economy. 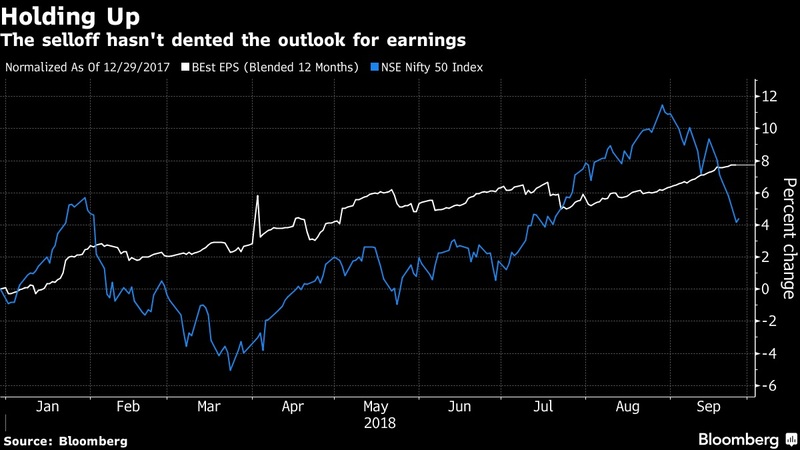 The Sensex remains one of the few benchmarks in the region to have seen double-digit upgrades to their consensus earnings estimates this year. The current situation is unlike 2013, the year of taper tantrum when India was part of five nations most at risk of capital flight, Morgan Stanley said in a report Monday.